Insightful reviews of current fiction, especially historical novels and mysteries, plus some biographies and social histories, to help you choose your reading list. Catch a new post every Friday morning! Follow Cedar Park Blog on Facebook to get a reminder. Michigan author Hazel Harzinger's coming-of-age novel, Adventures of a Girl Architect, is now available on Amazon.com. Click here to order! Edugyan’s fictional slave narrative, set in the 1830s, artfully establishes itself in the brutal realities of the sugar cane fields of Barbados before drawing readers into grand continent-hopping sequences that take on the quality of myth. George Washington Black is about 11 years old in the opening sequence in 1830, narrating his first-person account in language that is evocative of the era and yet unpretentious. We quickly grasp that “Wash,” as he is known, is an exceptional fellow. Right away, readers will want to learn how he develops from an uneducated and maltreated cane-cutter to become not only literate but also eloquent. Wash’s facility with realistic drawing propels him into the protective orbit of Christopher (“Titch”) Wilde, the scientist brother of the plantation slave master. Titch and Wash escape Barbados in a hot-air balloon, ending up first in Norfolk, Virginia, and then in the Arctic reaches of Canada. Wash becomes more and more proficient in marine biology, especially in technical illustrations, as he travels to London, Amsterdam, and north Africa, seeking acceptance and hoping for love. He’s marked not just by his skin color but by a facial disfigurement from an accident, an undesirable identifier as he flees slave catchers. Novelist Edugyan probes the inhumanity of the institution of slavery, certainly, but more notably she analyzes the motivations of the abolitionists who aid Wash. Do they truly view the enslaved Africans as equals, or do they want to save white slaveholders from eternal punishment for their viciousness? Edugyan also does an excellent job of portraying the enthusiasms of 19th-century scientists, in an era when the field of inquiry was vast and the methodology was still under development. Her ending to Washington Black is somewhat ambiguous, but then I like tidy wrap-ups, and life is seldom so orderly. 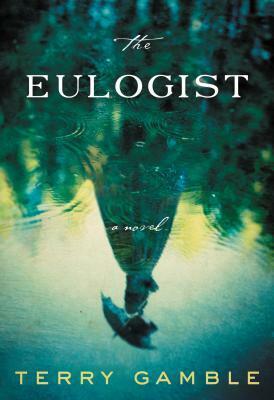 Terry Gamble’s novel is set in the very same era as Esi Edugyan’s, but The Eulogist takes place in southern Ohio and northern Kentucky, right on the border between the free states and the slave states of pre-Civil-War America. The fictional first-person narrator, Olivia Givens, is an 86-year-old woman writing in 1890, looking back at her astounding early life. Olivia’s family of well-educated Protestants emigrate from Ireland in 1819, settling in Cincinnati. Olivia’s mother promptly dies in childbirth, and her father soon deserts his teenage children, Olivia, Erasmus, and James. James builds a successful business through hard work and a shrewd marriage, while Erasmus, latching onto religious evangelism, becomes an itinerant preacher despite his continuing habits of debauchery. Olivia, a woman who defies convention, marries a local doctor and is drawn into the many dramas of her husband’s slave-owning family in Kentucky. Slowly, slowly, the Givenses come to espouse the abolitionist cause, mainly because of their individual interactions with slaves. Olivia’s story is frank and at times drolly comical. Her language has a 19th-century tone and vocabulary (“Erasmus looked as peaked as an Ohio winter” ). The narrator and her readers know the horrors that will unfold with the Civil War, but her characters in the 1820s and 1830s and 1840s do not. This knowledge gives the novel a taut and expectant quality. Gamble’s plot is intricate, with the final connections not offered until the last chapter, and then only briefly. As I read this book, I kept wondering, Who is the eulogist of the title? This question also is answered in the last chapter, and I won’t spoil it for you. Both Washington Black, reviewed above, and The Eulogist are excellent novels that explore the issue of slavery in depth, without resorting to stereotypes or platitudes.